Flaming Pig	No ratings yet. 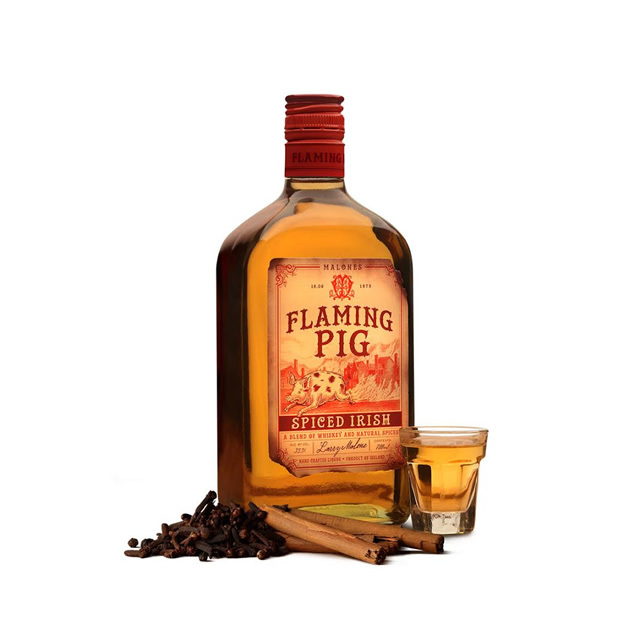 Flaming Pig combines crafted Irish whiskey with clove,cinnamon and black peppercorns for a spicy and sweet flavour. Great in shots, over ice or in a variety of firey cocktails.